While Rapunzel is painting a beautiful picture of her castle terrace, she hears a loud noise made by Cassandra. 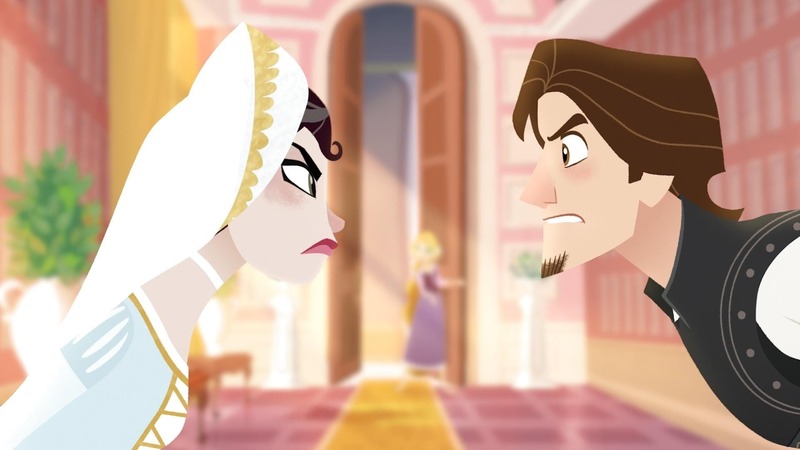 Frustrated, Rapunzel throws the painting in anger along with others that are ruined and goes to see what has happened. In the dining room, she finds Eugene and Cassandra arguing because Eugene used her halberd for shaving without her permission. Trying to prove Cassandra wrong about being an unskilled fighter and unable to use weapons properly, Eugene picks up the halberd and accidentally breaks King Frederic's most favorite vase, resulting in another argument between the two. While Rapunzel sweeps the broken pieces, she gets an idea.